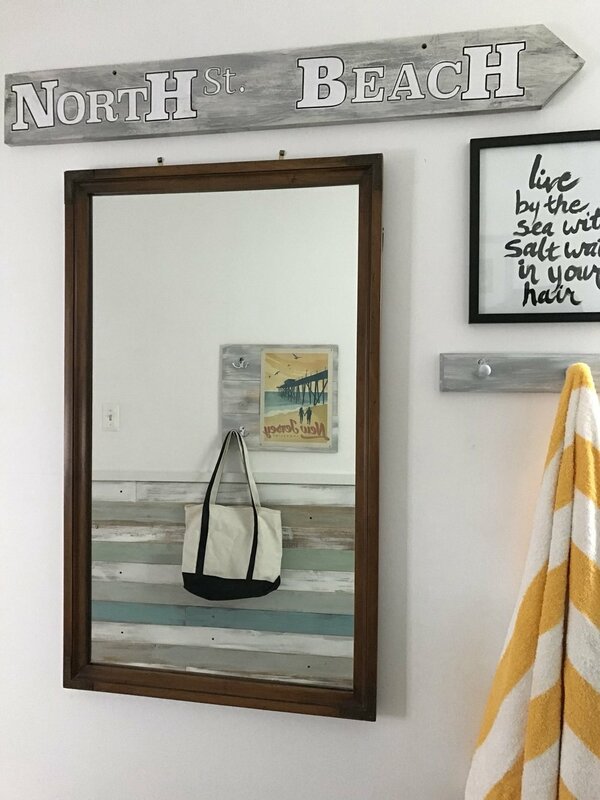 Vintage mid century charm meets modern beach casual. Our bright rooms offer an easy and relaxed style. Many of the 1950's original features of the Zenneth Manor have been maintained or restored alongside all the modern conveniences. Each room has a private en-suite bath with original tilework, which adds true retro charm. Meanwhile our custom appointed rooms, spa shower heads, flat screen LED HDTV's, cool AC, and free Wi-Fi offer a perfect setting for a laid back beach escape. Our two Corner King rooms are a spacious size and offer the perfect setting to escape and are ideal for couples. East facing, you may even catch an ocean breeze. Our Corner King rooms are situated on the second floor of the inn and offer a private en-suite bath, custom details including the restored White Oak hardwood floors. Rise, shine and relax in our Main Floor King. Conveniently situated on the first floor, your room includes our signature touches of white washed woods, pale creams and ocean blues. The Main Floor King features a petite private bath with tiled shower and distinctive restored white oak floors. Our Main Floor Deluxe Queen offers the original cast iron tub/shower combination. Adjoining rooms maybe available, upon request, in our two Main Floor Deluxe Queens. Our second Main Floor Queen room is petite, but loaded with charm. 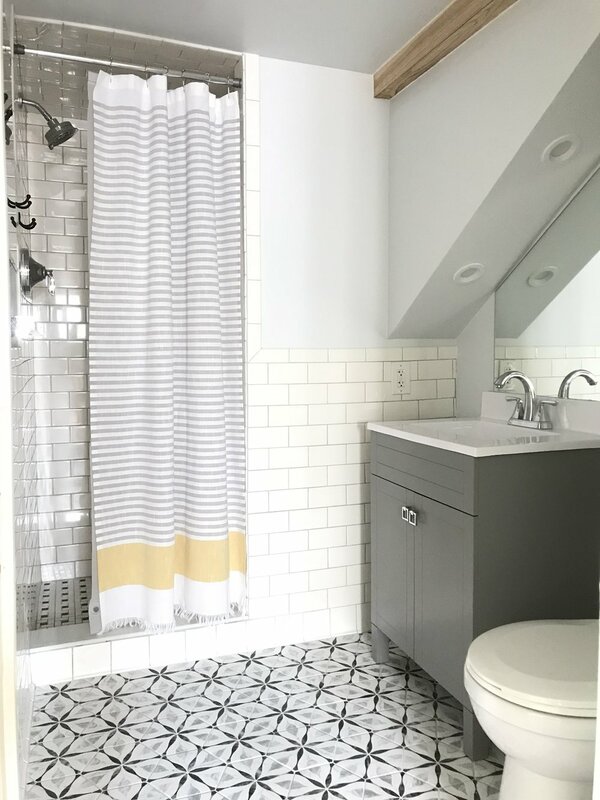 The original chrome + glass shower door, along with restored white oak floors make this a cute & cozy accomodation for couples or the solo traveler. Our Queen PLUS rooms offer a flexible option to maximize a petite footprint. Located on our second floor, the sofa may be converted to a sleeper and will accomodate the addition of 1 child (between the ages of 12 and 6). The Queen PLUS layout is also ideal for couples or the adventeruous solo traveler. The unique converted skim board coffee table is the perfect place to kick us your heels and relax. Our Standard Queen Room on the second floor offers a dining area and fun pops of color. You will find this guest quarter strikes a relaxed balance of beachy & vintage. Our bright & breezy Main Floor Deluxe Double features two double beds, restored White Oak hardwoods, ample storage & a 1.2 cu.ft. mini fridge. The private en-suite bathroom features a cast iron bathtub & shower combination. Our Second Floor Deluxe Doubles are set on the northwest & southwest corners of our Main House. Each room offers two double beds and easy access to our second floor sun deck, which is perfect for morning coffee and alfresco dining anytime. The rooms offer their own petite private bath complete with tiled shower. The Second Floor Deluxe Double rooms each have a dining area & 3.2 cu.ft. mini fridge. SLEEPS UP TO 3 GUESTS, not suitable for children under 10. Our Standard Double rooms include a petite private washroom, closet space & 1.2 cu.ft. mini fridge all within a smaller footprint than our Deluxe Double rooms. Noun. space under the roof of a house. The Garret Loft is an open studio tucked under the 2nd floor of our back building. The Garret Loft provides the privacy of a seperate dwelling as well as the perfect location for an easygoing escape. As it's own private apartment, seperate from our Main House accomodations, this is a condo style rental with a few perks. We provide all bed linens, a set of bath towels & toiletries, but no daily maid service. The efficiency sized galley kitchen includes all dishware, two burner cooktop, microwave and mini-fridge as well as a complimentary stock of K-cup singles for our Keurig coffee maker. 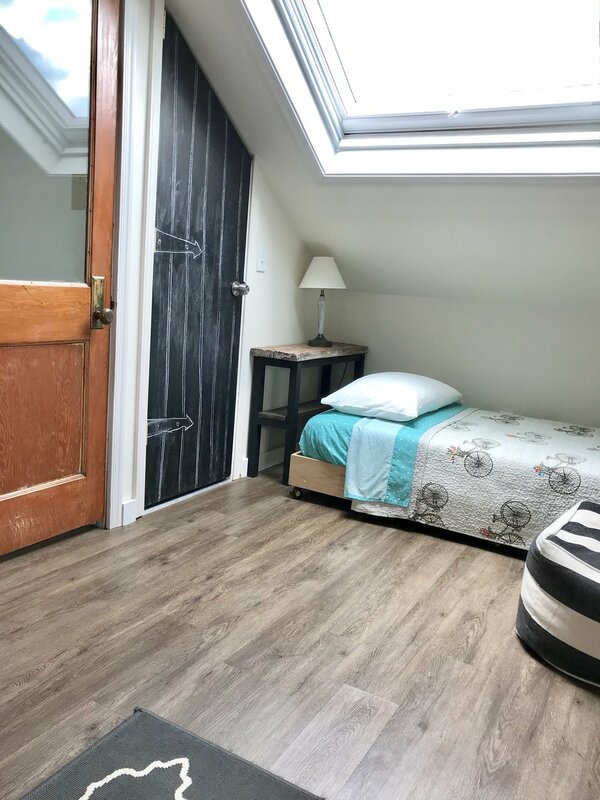 Located in our back secondary building, the Garret Loft has it's own private tiled entry, on the first floor. The downstairs vestibule adds stylish practicality and is perfect for storing all your beach gear. The living quarters are tucked on the second floor. Designed to feel like your own beach bungalow, you can even enjoy tunes on the Bluetooth Bose speaker.